Our cars are often the unloved, unappreciated heroes in our lives. They’re dependable, sturdy and selfless; dutifully ferrying us in safety, comfort and warmth to whichever destination we desire. Yet, it’s the one relationship in our lives which requires a little more love, after all, it slays distances without complaint (usually), never talks back nor bores us with meaningless chatter about its day. So, for Valentine’s Day 2018, skip the pink fluff and show your car just how much you love it. Step 1: Read the manual. Step 2: Fix the small stuff. Wipers looking a little worn? Headlamps gone cloudy? You’d be amazed at how fixing the little dents and signs of wear and tear will improve the visual appearance of your car and keep your passion alive. Your car will tell you when it’s poorly. Don’t ignore warning lights on your dashboard (you’ll know what they mean once you’ve fully digested the manual), and observe any unusual sights, sounds or smells. Make a note of anything peculiar and share with your mechanic. Maintenance is key to a healthy relationship; what you don’t nurture dies. Ensure all the things you appreciated about your car, like working air con, sharp brakes, and tyres that handle the road well, are still operating at their perky best. Treat your car to regular maintenance and it’ll surely go the distance. Step 4: Sparkle & shine. If your glove box is rammed with fast food napkins, dried out hand wipes and ageing sachets of ketchup, it’s time for a declutter. If you’re not keeping your gloves in there, use the sacred space for your manual, pertinent vehicle information and service receipts/warranties. Secondly, don’t you feel your car somehow runs better when it’s had a proper vacuum, wash and polish? And if you car could speak, it would surely tell you to remove that highly corrosive bird poop from its gorgeous metallic paintwork. There’s nothing like a good clean to show your car you care. Step 5: Accept love costs. To fully cherish your car, you can’t avoid spending money on it. Many cars have maintenance schedules programmed into their on-board computer, but all should have dates and details within the manual. Ignore these at your peril, as negligence could mean the end of the road. Step 6: Lighten your touch. Sometimes all your loved one needs is a hug. If you can’t wrap your arms around your car, try the next best thing — lose the heavy foot. Go easy on the brakes, lighten your foot on the pedals, and consider learning a few more safety driving tips. Your car will love you for it. Step 7: Protect your love. Once that spark has been reignited, don’t let theft or an accident tear you apart. Speak to your local insurance expert at A-Plan to ensure your vehicle is sufficiently protected. 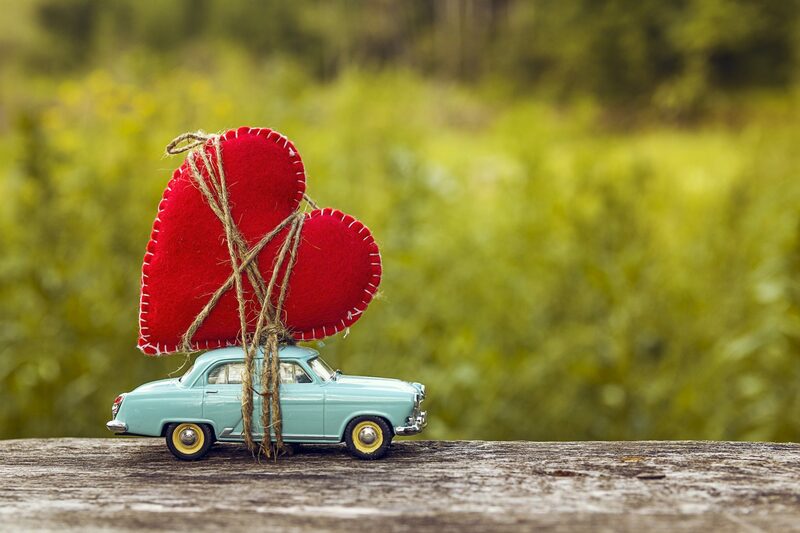 Share the love with your car this year and have a very happy Valentine’s Day!